Professor Bob Cowan is CEO of the HEARing Cooperative Research Centre and HEARworks, its commercial arm. A Professorial Research Fellow at The University of Melbourne and Adjunct Professor at Macquarie University, he has extensive experience in management and commercialisation of hearing technology and clinical research. Bob’s research includes cochlear implant and hearing technology, audiology and biomedical research management. He has authored over 150 publications and book chapters, and holds a number of Australian and international technology patents and trademarks. Bob holds a PhD (Melbourne), MBA (TechMgt), and Graduate Diplomas in Audiology, Technology Management and Health Economics, as well as a BSc(Hons) in Physiology (Queen’s). He is a Graduate of the Institute of Company Directors. He is a Fellow of the American Academy of Audiology and Audiology Australia and holds a current Certificate of Clinical Practice. Bob joined Professor Graeme Clark’s team in 1985, and with him, established the HEARing CRC in 1992. Now in its fourth term, The HEARing CRC brings together 23 members, representing Australia’s leading research, educational, and clinical hearing health services and international companies Cochlear and Sivantos to develop new solutions to reduce hearing loss and improve communication benefits for the millions of hearing impaired adults and children in Australia and world-wide. Under his leadership, the HEARing CRC has received Excellence in Innovation Awards in 2002, 2003, 2012 and 2013, as well as a STAR Award in 2012. He was a finalist in the Eureka Prizes in both 2012 and 2013. He was selected as Australian Professional of the Year 2004 by Professions Australia, and his contributions to audiology have been recognized through Audiology Australia’s President’s Distinguished Service Award (2003) and the Denis Byrne Memorial Lecture (2006). In 2008, Bob delivered the Libby Harricks Memorial Oration. Bob is committed to the world-wide prevention of hearing loss and improved audiological clinical practice. 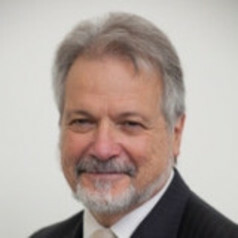 Bob was President of the International Society of Audiology (2012-2014), and Congress President of the XXXII World Congress of Audiology held in Brisbane, 2014 and the XXV World Congress held in Melbourne in 2002. He is Chair of the Audiology Australia National Conference Committee, which recently held the XXIII Audiology Australia National Conference at the Melbourne Convention Centre. He is a current Board Member of the International Society of Audiology and Audiology Australia.